Lakeshore Bungalow with historic charm close to Cedar River! This large corner lot 3 bedroom 1 home is a must see!!! Fully fenced back yard has a large workshop with electric and double gate so you can park your boat or other toys. And it's located only .6 miles away from boat ramp! 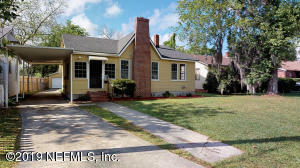 Home features Original hardwood floors, wood burning fireplace, and updated kitchen appliances. Plenty of living space including Formal Dining and eat-in kitchen space. 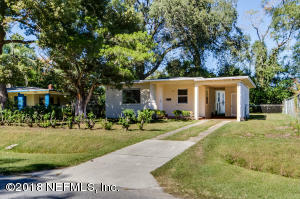 Great home conveniently located minutes from shopping, restaurants, and downtown. 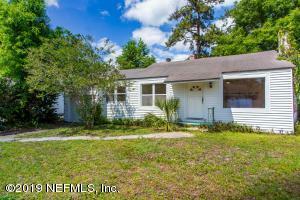 This home features 3 bedrooms, 2 bathrooms with 1557 of square feet. The living room features a wood burning fireplace with a huge picture window, that lets in a lot of natural light. The updated kitchen features beautiful wall to wall cabinets and a ton of counter space. Storage wont be an issue and family gathers will be a piece of cake. 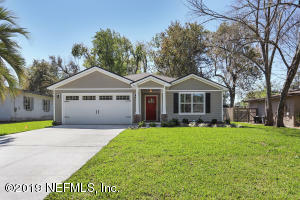 This home also has brand new flooring that will showcase any furniture. It is conveniently located near restaurants, stores and NAS Jacksonville. This home is a must see, don't miss this opportunity. 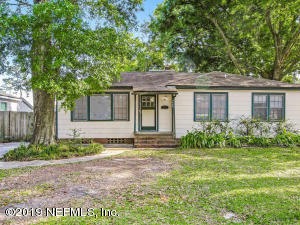 This 1940 Charming Gem is ready for you to move in today! 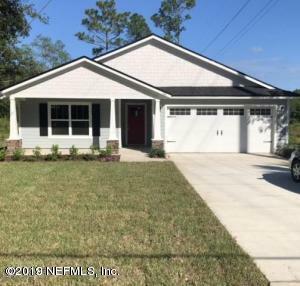 Come relax in your Florida Room or in your private fully fenced yard and enjoy the NEW ROOF (April 2019), New Interior Paint (April 2019), Exterior paint (2017), ORIGINAL Hardwoods throughout Living dining and all bedrooms, Large Master Suite, Indoor Laundry, & so much more!Choose to park your car under the Carport or in the Detached Garage. Don't miss out on this hidden beauty. Take Our Virtual Tour & Come See In Person Today! (REDUCED!!!!! )This beautiful home looks small from the front steps but when you get into the home it is a whole different world ...the house is quite spacious and bright. Beautifully designed with built in lovely cabinets even in the dinning room. The deck is a perfect place to entertain. Huge laundry room, stainless steel side by side refrigerator and above microwave hood. Total Rehab in this home. 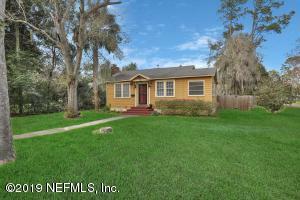 Come see this adorable well-maintained home in Lakeshore! Avoid the rain parking under your carport and enter through either your covered front or side door. 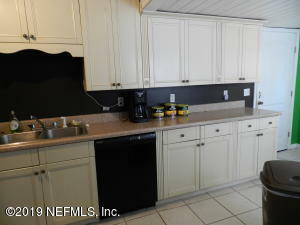 The kitchen boasts a new sink and countertops, and you simply must see the beautiful charcoal-and-white tiled bathroom! The fenced backyard is perfect for family barbecues. Both the exterior and interior have neutral paint throughout. Also included are a brand new roof on the house (washroom roof has recently been inspected), energy efficient windows, and CPVC piping.